Royal Challengers Bangalore (RCB) and Virat Kohli have had to endure yet another defeat. Mumbai Indians (MI) beat RCB in Monday's match at Wankhede stadium. RCB, which opened its account by winning the first match of this season against KXIP in the last match after losing six straight matches, could not emulate what they did in the last match. RCM memes started doing the rounds on social media as soon as the team lost. After Funny RCB Memes, ‘Peeche Dekho' Pathani Boy Memes Take Cute Potshots at Virat Kohli! Check Out Some of the Most Hilarious Posts. Virat Kohli failed to score a big total in this match. However, AB de Villiers scored a brilliant 75 before he was run-out by Pollard. Lasith Malinga was the pick of the bowlers with 4/31. 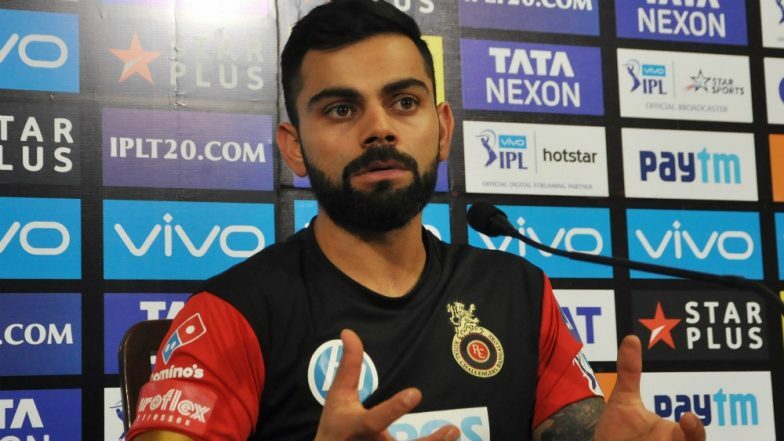 Funny RCB Memes Go Viral Again As Virat Kohli and Co Take on Kings XI Punjab in IPL 2019 Match. 1. No real world tensions. 2. Red jersey defeating makes you feel the end of communism. 3. It keeps the otherwise successful Kohli grounded. 4. You won't commit suicide ever coz you once want them to win trophy. She- He must be thinking about other girls. Batting first, RCB managed 171/7 on the board thanks to half centuries by AB de Villiers and Mion Ali. MI vs RCB, IPL 2019, Highlights: Mumbai Indians Wins by Five Wickets. But it could not defend the total after Rohit Sharma's blistering knock and Hardik Pandya's hitting at the end. Mumbai won by 5 wickets and six balls to spare. Lasith Malinga won the Man of the Match award for his four wicket spell and economical bowling.